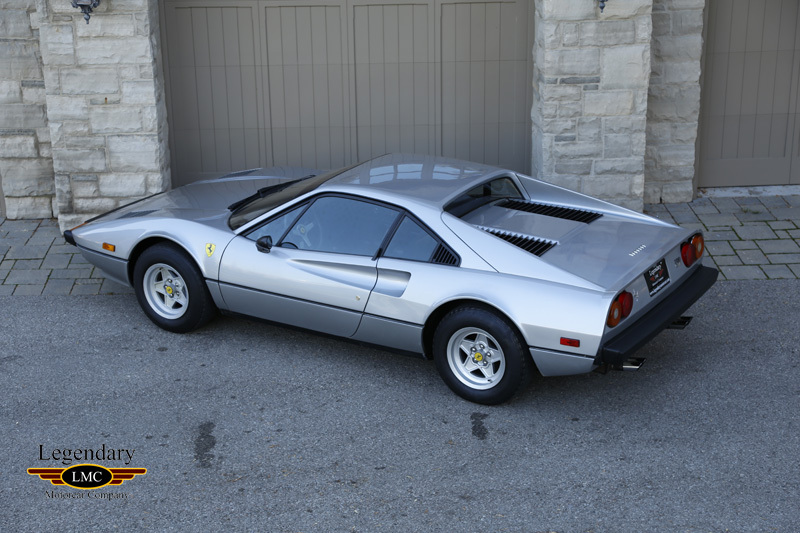 Click any thumbnail below to display the 1977 Ferrari 308 GTB slide show. 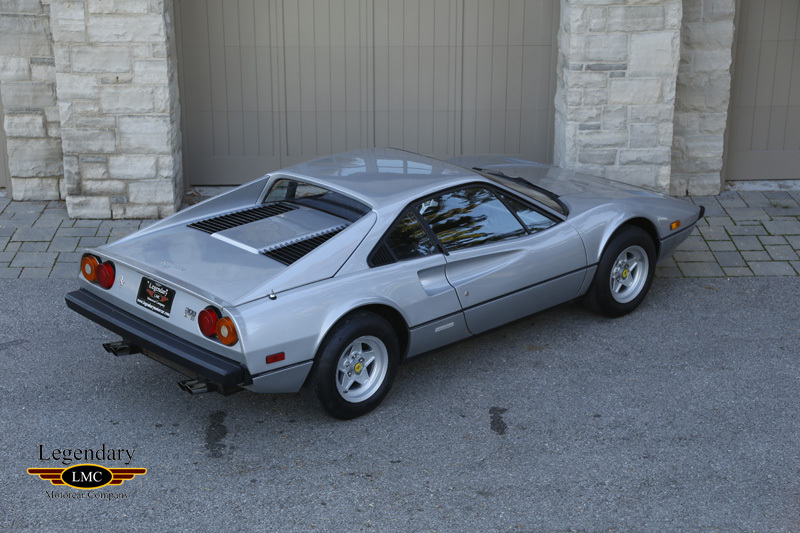 LMC is very proud to offer for sale this 1977 Ferrari 308 GTB. 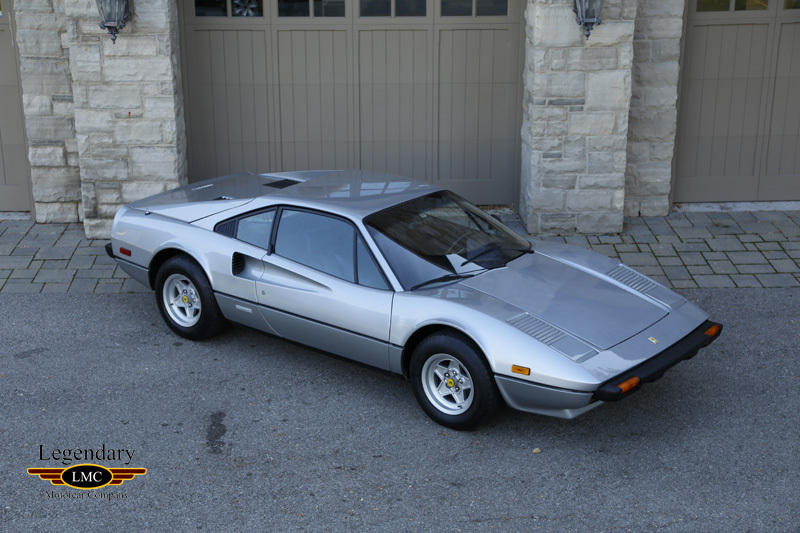 The Ferrari 308 GTB is a V8 mid-engine 2-seater sports car manufactured by the Italian company Ferrari from 1975 to 1980. 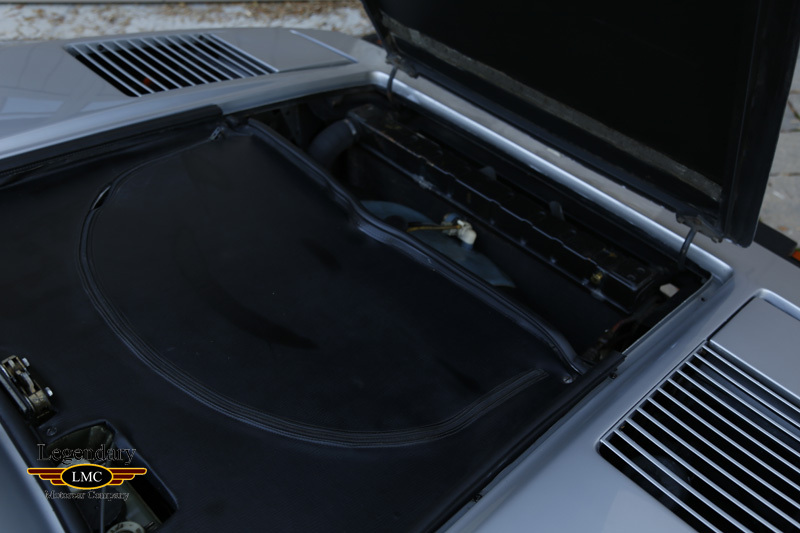 The 308's body was designed by Pininfarina's Leonardo Fioravanti, who had been responsible for some of Ferrari's most celebrated shapes to date such as the Daytona, the Dino and the Berlinetta Boxer. This was the first Ferrari to benefit from the full-size tunnel right from the prototype stage. 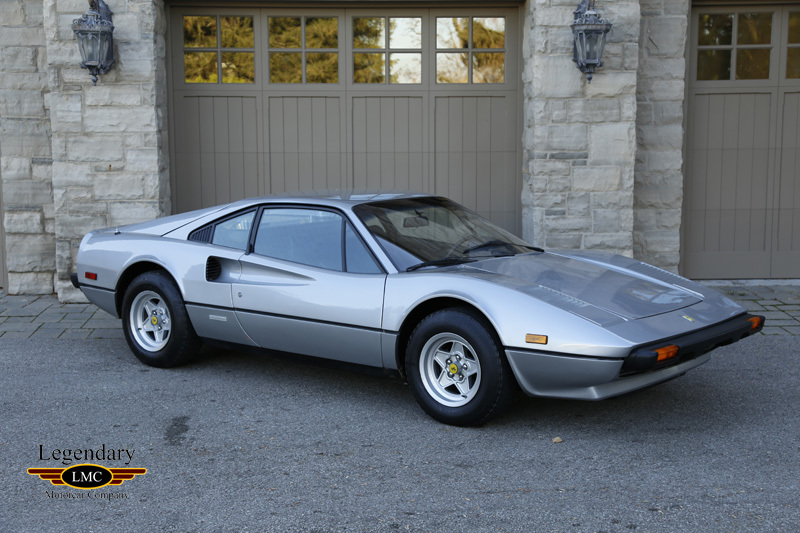 The Pininfarina-styled Ferrari 308 GTB was introduced at the Paris Motor Show in 1975 as a supplement to the Bertone-shaped 2+2 Dino 308 GT4 and a direct replacement for the 2-seater Dino 246. 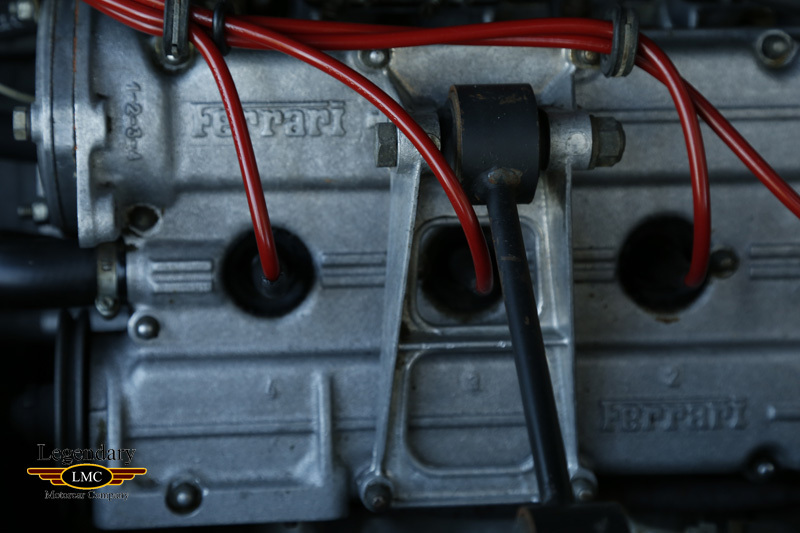 A notable aspect of the early 308 GTB was that, although still built by Carrozzeria Scaglietti, its bodywork was entirely made of glass-reinforced plastic (or GRP) - another first for Ferrari - allowing a very lightweight to enhance performance. 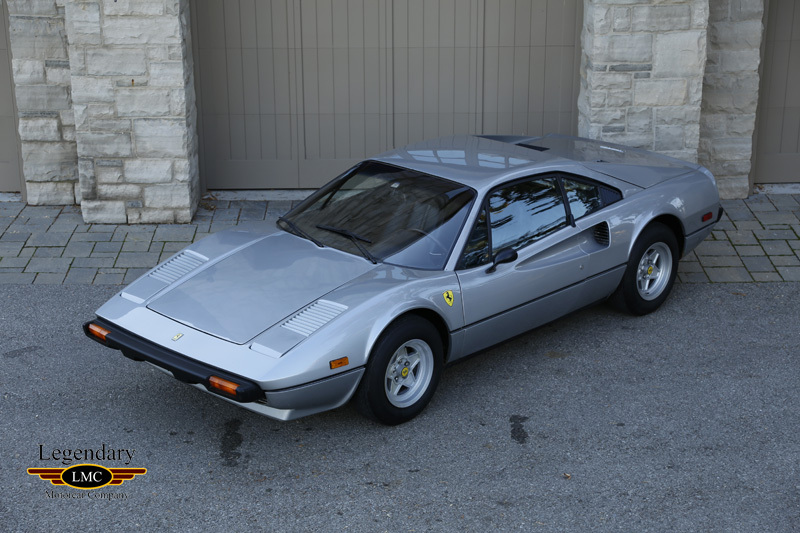 This lasted until June 1977 when the 308 production was switched to steel bodies. 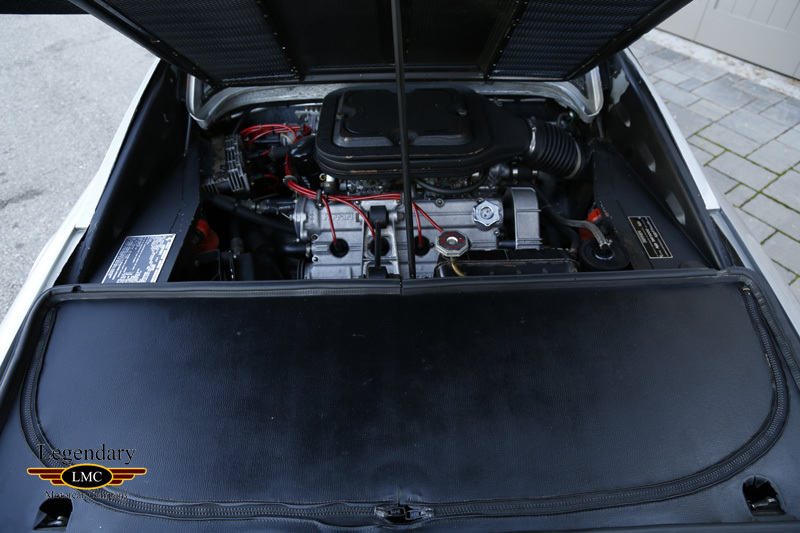 The 308 had a tube frame with separate body. 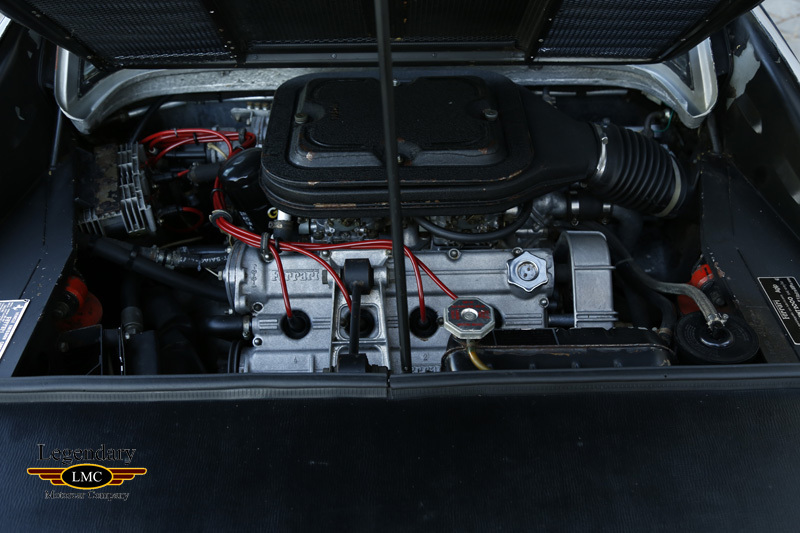 The engine was a V8 of a 90 degree configuration, with belt-driven twin overhead camshafts per cylinder bank. 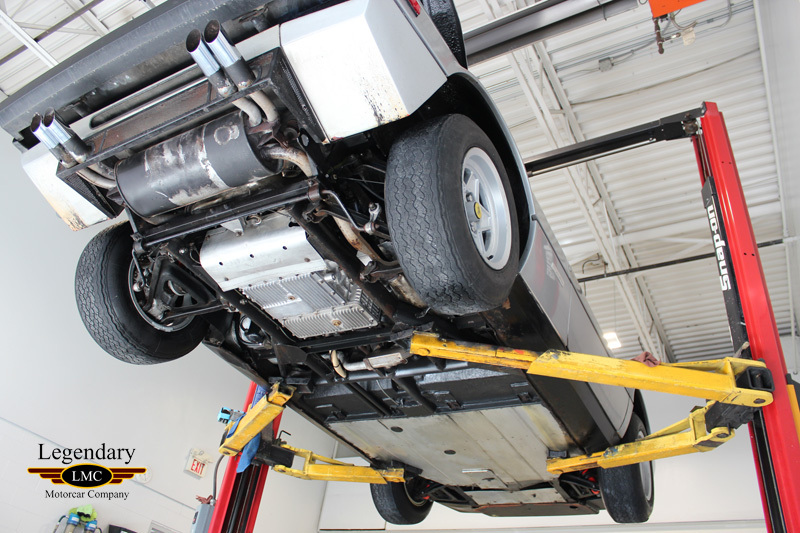 It was transversely mounted in unit with the transaxle transmission assembly. 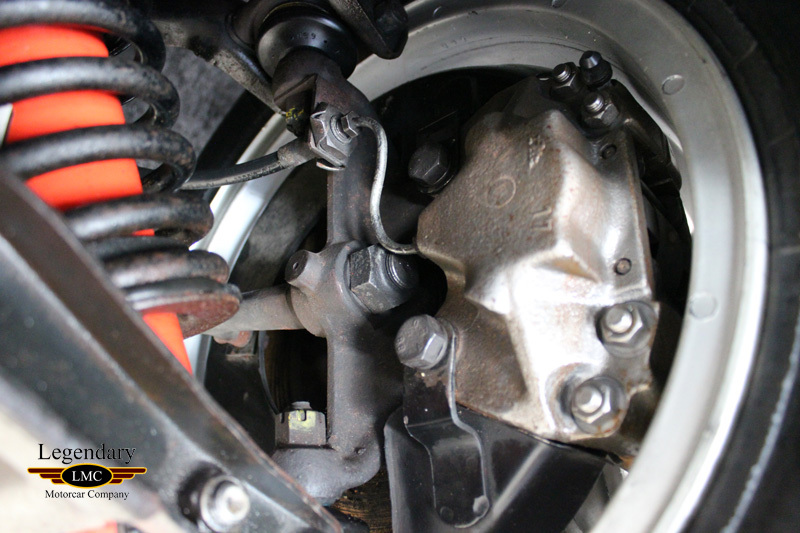 All models used a full synchromesh 5-Speed Manual and a clutch-type limited slip differential. 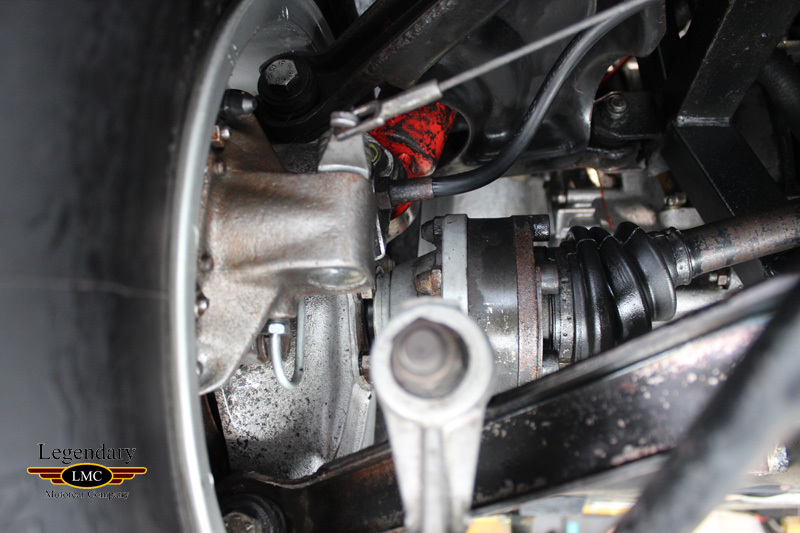 Suspension was all-independent, comprising double wishbones, coaxial coil springs and hydraulic dampers, and anti-roll bars on both axles; four wheel vented disc brakes were also fitted. 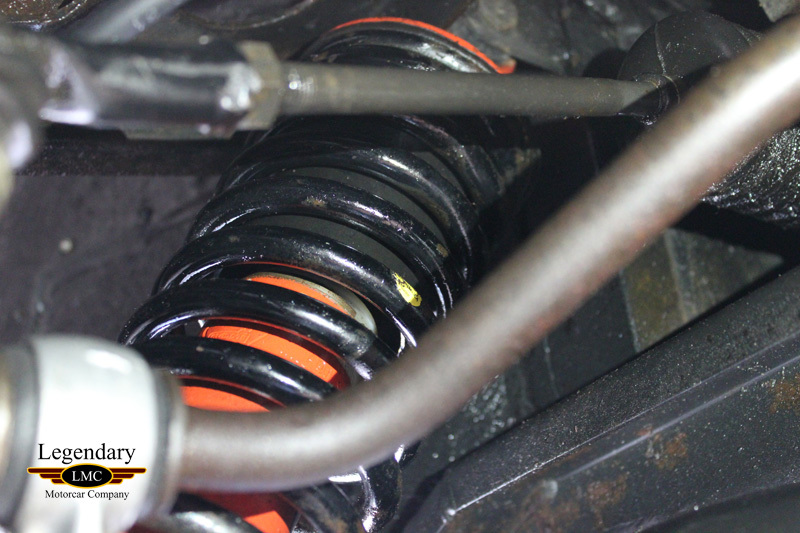 Steering was rack and pinion. 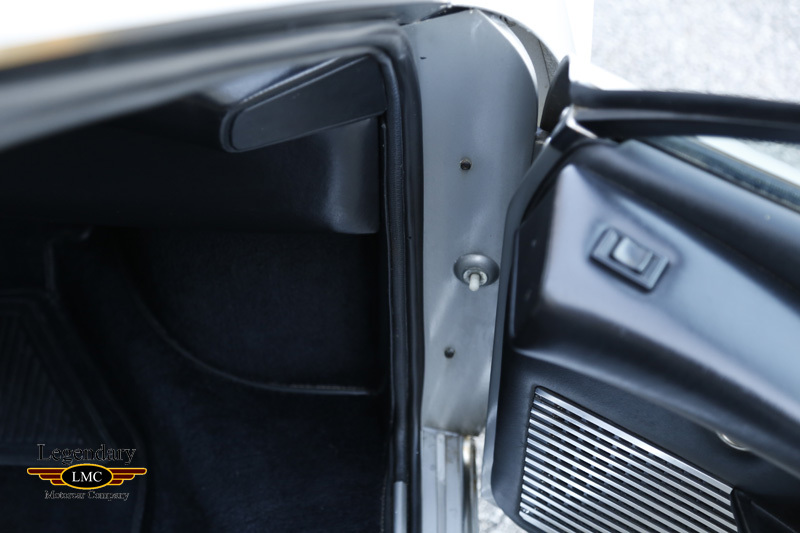 They were known for smooth acceleration with a real good power range. 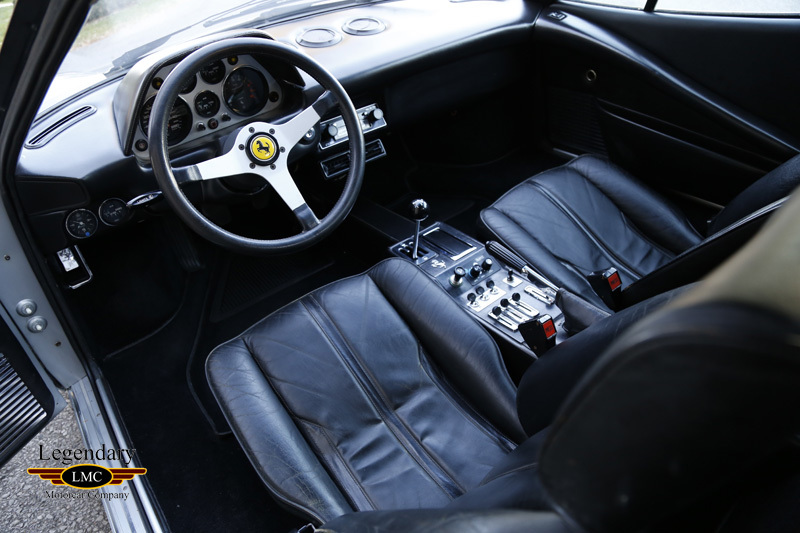 Test performance for the 308 GTB (GRP) revealed impressive acceleration for the period with the quarter mile at 14.6 and 96 mph, 0-100 mph in 15.9 and top speed of 154 mph. 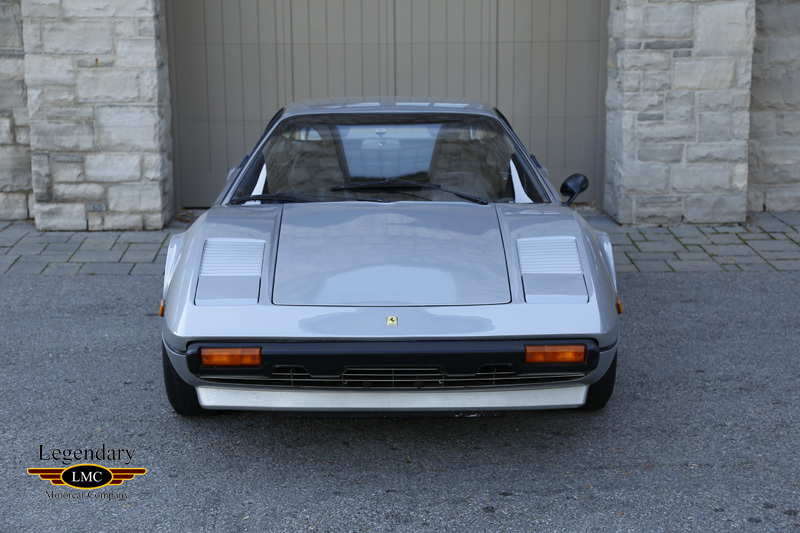 This highly original condition Ferrari 308 GTB is certainly rare with only 808 of the first fiberglass version (vetroresina in Italian) having ever been made for the entire market . 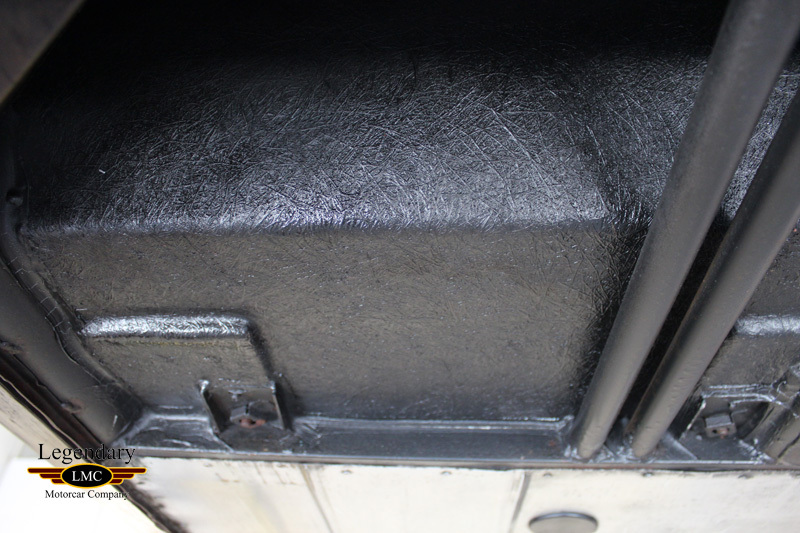 The original Silver paint is striking and shows very nicely. 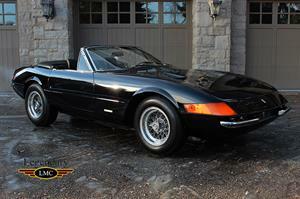 Legendary Motorcar purchased this fabulous Ferrari from the cars 2nd caretaker who owned it from almost new till now. 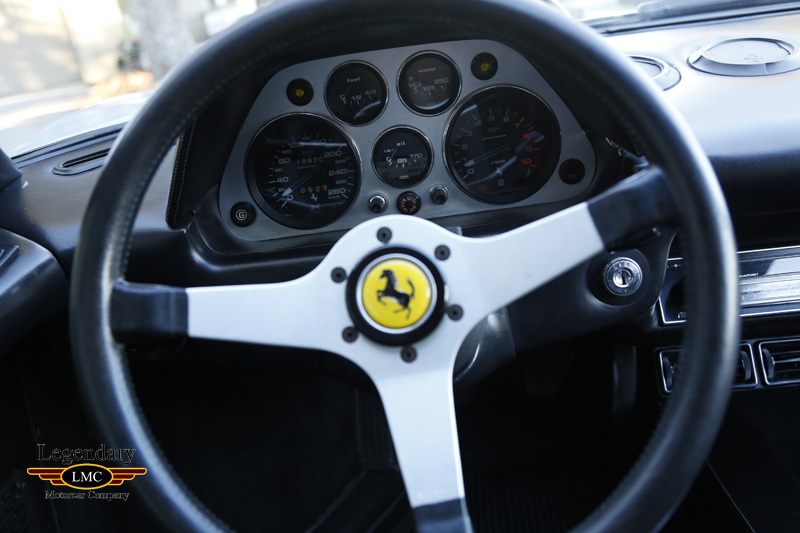 Since new, there is no doubt the Ferrari has certainly been well taken of and is evident from how remarkable its been preserved. 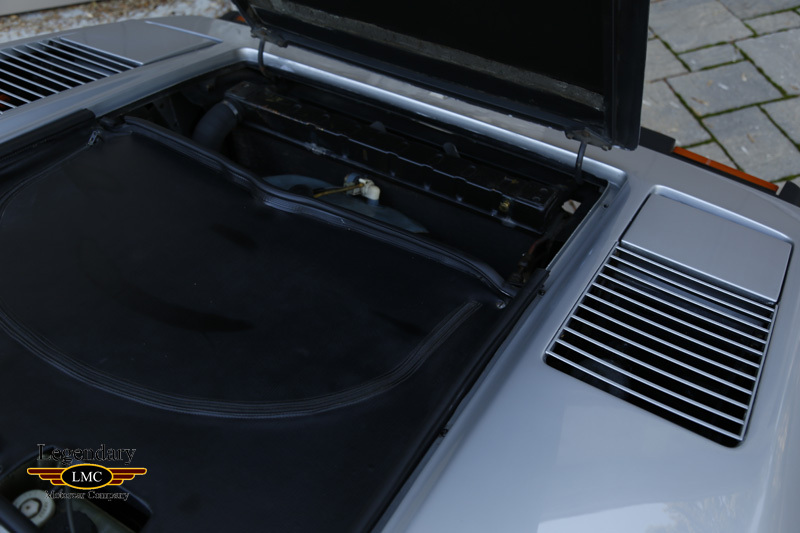 Its F106 AB V8 engine sits in its unrestored and never tampered with engine bay and is equipped with four twin-choke Weber 40DCNF carburetors and sits under the rear engine cover with the stylish grills. 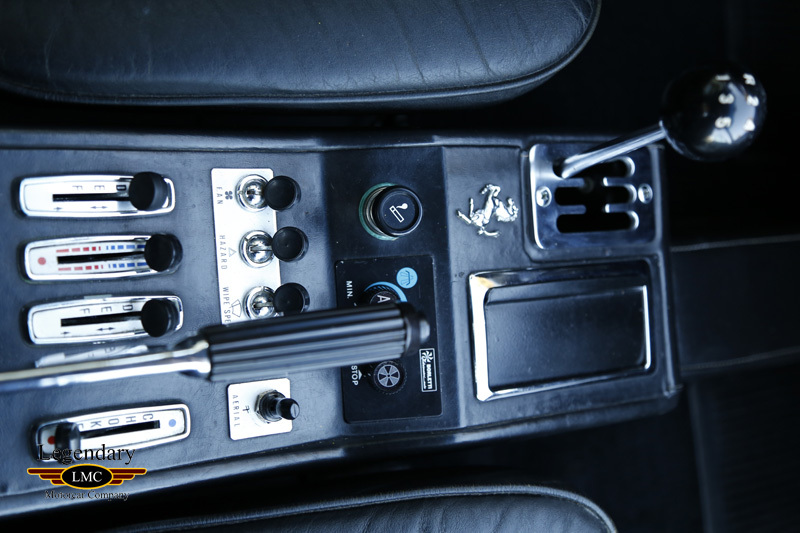 The 237 bhp was plenty and today this Ferrari drives as well as one would expect with only 18,920 clicks of driving excitement having been registered. 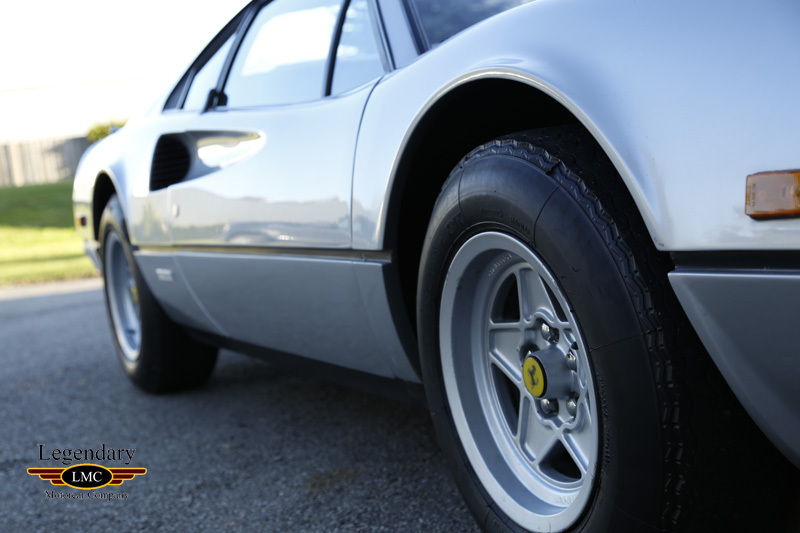 In fact it still has the original tires mounted on the original Ferrari Cromodora 5-spoke 14-inch alloy wheels. 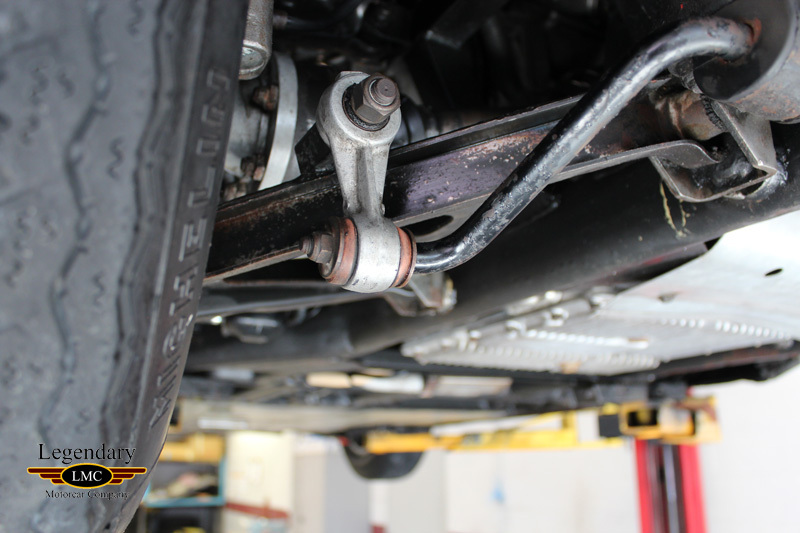 This Ferrari has attitude with the unique sound coming through the original factory exhaust and exiting out the exposed dual tip rear pipes. 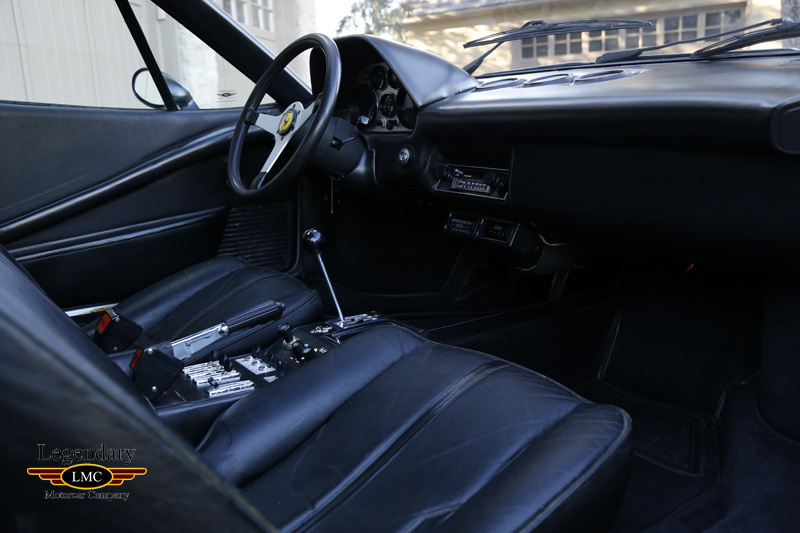 Inside the original Black interior shows minor patina in the famous Ferrari bucket seats. 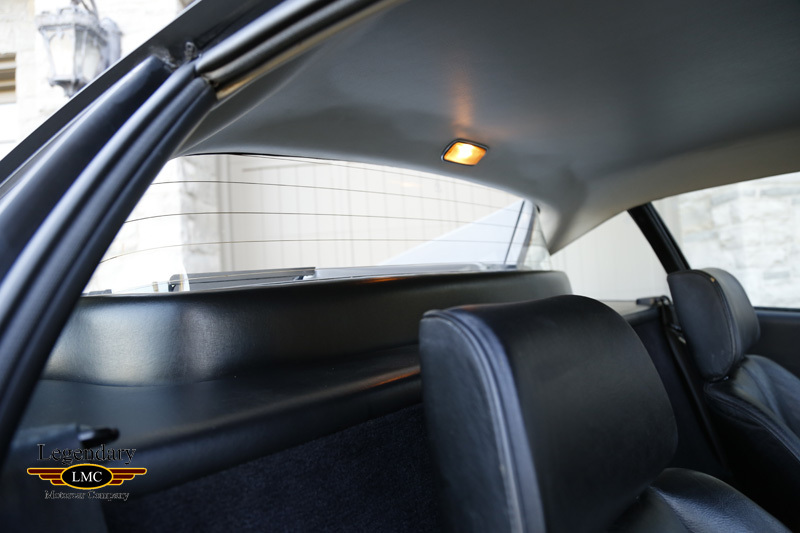 The driver and passenger sit behind the beautiful condition original dash and will enjoy the comfort of the factory AC that still blows cold. 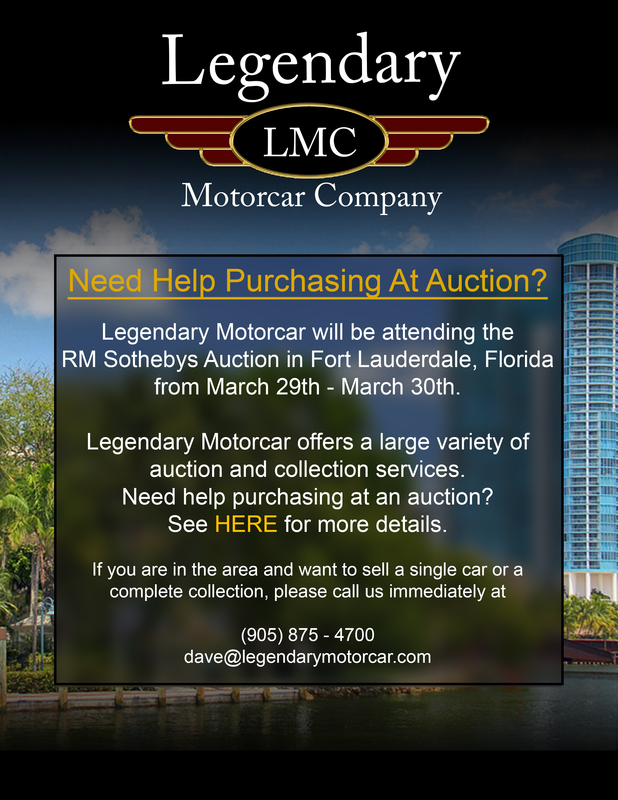 As well, the next owner will receive the factory tool roll and the original leather case containing the Owner’s Manual, Warranty Card/Owner’s Service Book, Sale and Service Agents Book, Consumer Information Pamphlet, Blaupunkt Radio Book and Lubricants Chart. 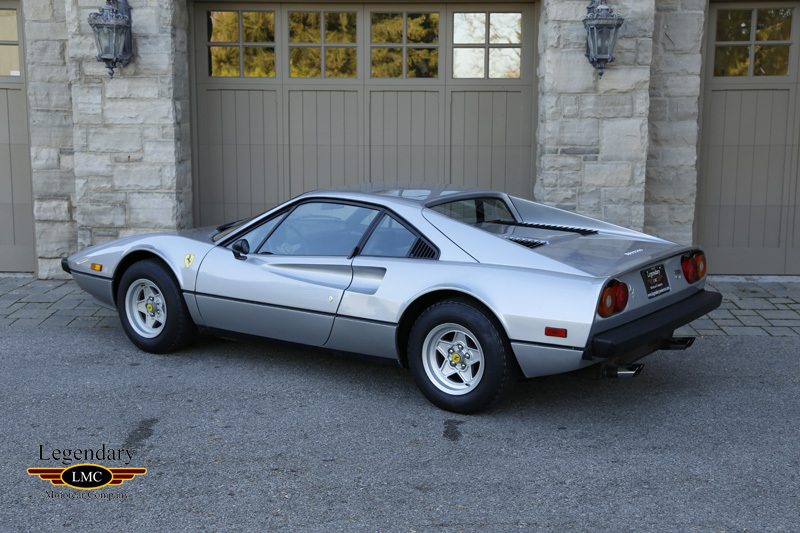 The beautiful 308 was a classic from the moment it was launched and was made famous on the TV series Magnum, P.I with Actor Tom Selleck wheeling the Ferrari around Hawaii. 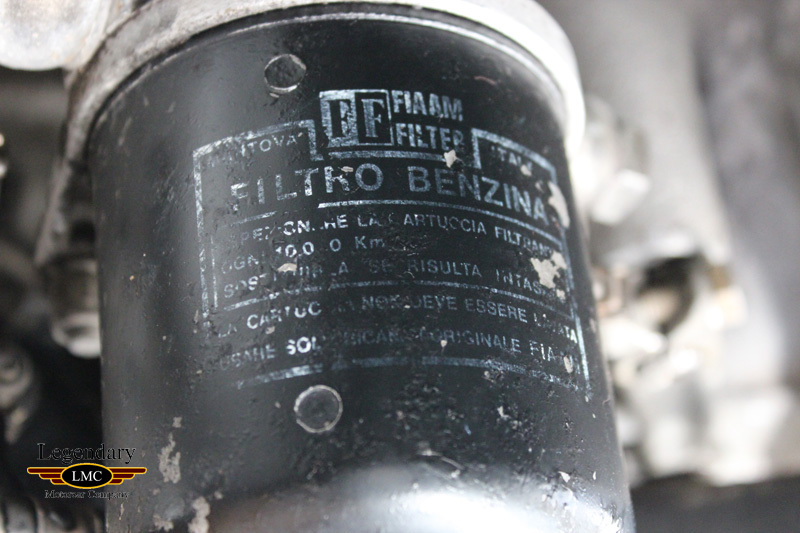 Today, the Vetroresina/Glass Fiber cars are the most collectible of the 308. 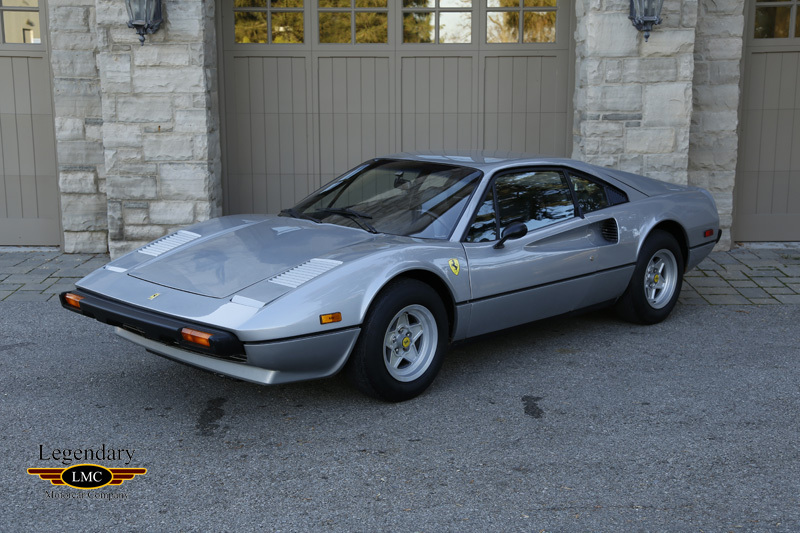 This is a great opportunity to acquire a very rare Prancing Horse – 1977 Ferrari 308 GTB – sleek looks, impressive power and handling to satisfy any Ferrari fanatic. 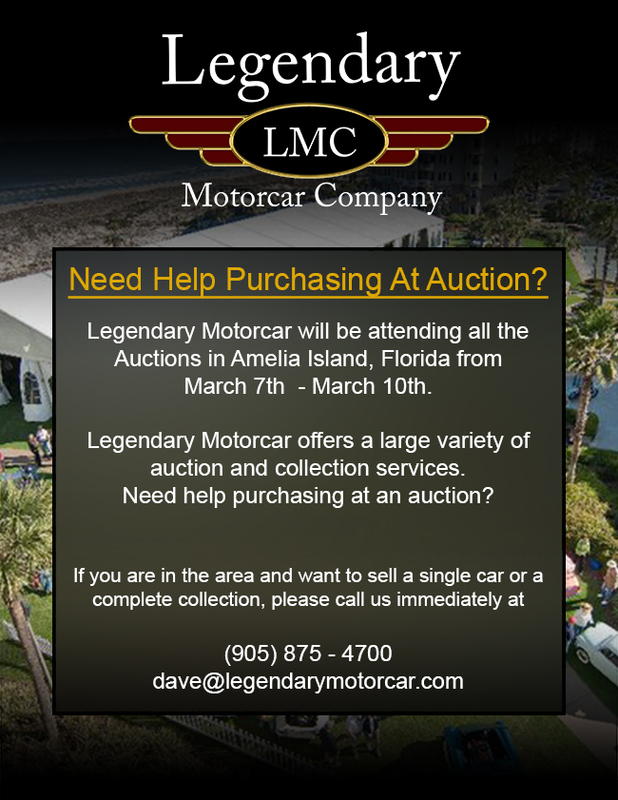 Legendary-Motorcar-Company-Ltd-2018-051 Ferrari 1977 Ferrari 308 GTB 2018-051 0 Legendary Motorcar Company Ltd.